Let's get rid of this "never" in the Matt roberts GB. Here's something I've been wanting to build for a while and should fit in with a "let's build it even if it's not 100% accurate" philosophy. Apparantly, the Peruvian Fitters are powered by the Tumansky engine. This means they have a fatter rear fuselage than the ones powered by a Lyulka engine. 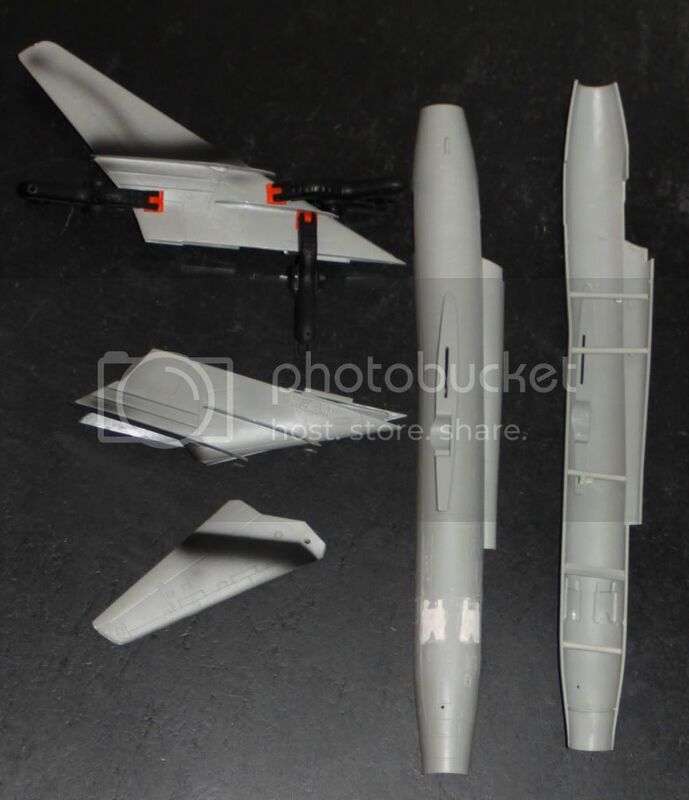 The old OEZ kit has the slender fuselage of a Lyulka-powered Fitter. The kit's moulds were later used by Kopro and KP models. Last year, Eduard made a batch with all sorts of upgrades...decals, seat, PE, masks. I never shelled out for that and neither for the KP Models box which had become quite scarce. KP models seems to have made a new batch and I bought one from a East European dealer over the week-end. I have the "Authentic Decals" sheet for it. I'm just calling this one a "Fitter" because between the Su-17M3, Su-22M and Su-22M3 designations, I tend to get lost. 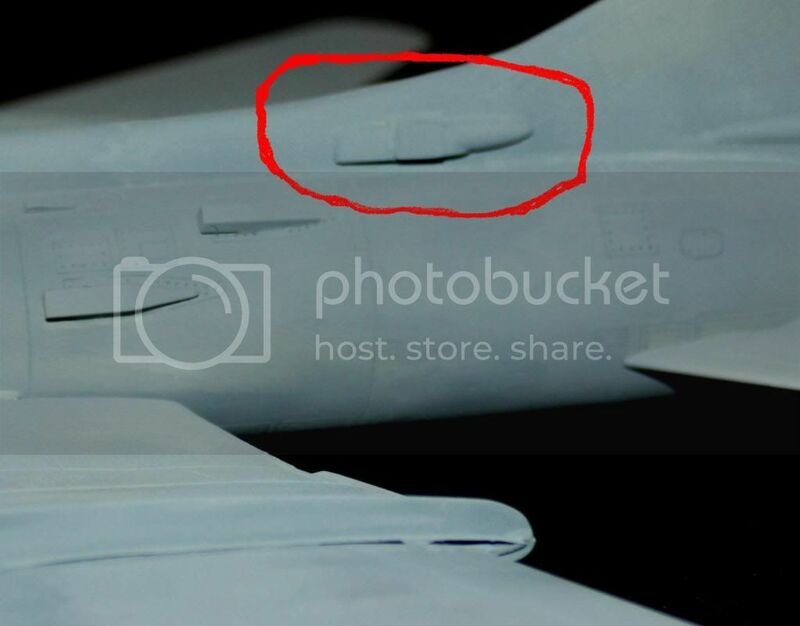 There is a picture of the subject by Chris Lofting on airliners.net. I gather that airliners.net don't like link to their site for some reason, but I f you search with "Peru" and "Sukhoi-17/20/22" on their search function, you should find them. The declas are for the one with Peruvian serial 167 on the tail and the number 45004 on the MLG door. Last edited by Stefan Buysse; March 16th, 2011 at 02:26 PM. First, the recent KP Models releases of the OEZ kit, with their respective decals below them. The sheet in the middle is the Authentic Decals sheet. 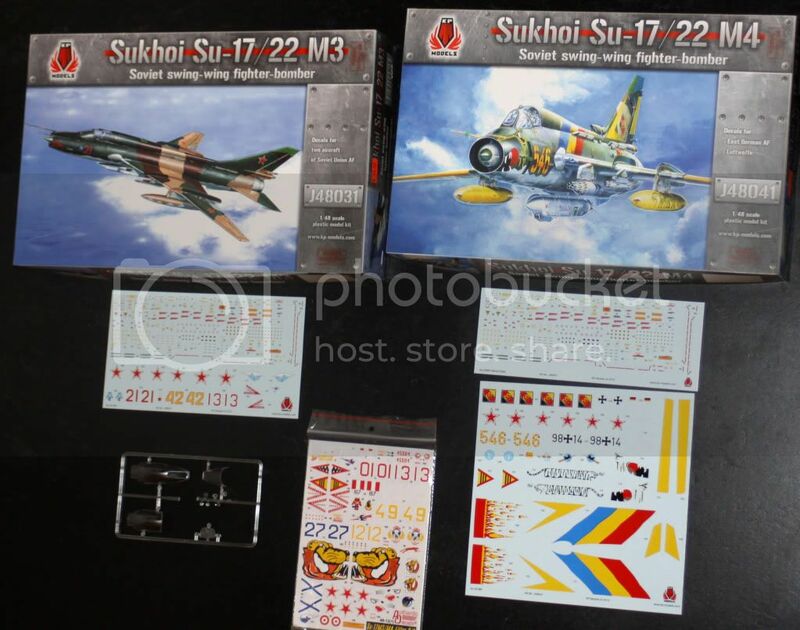 The Su-22M4 box has a Soviet option too, although the boxtop only mentions the German options. These are the sprues. Unless I missed something, the plastic is the same in both boxes. 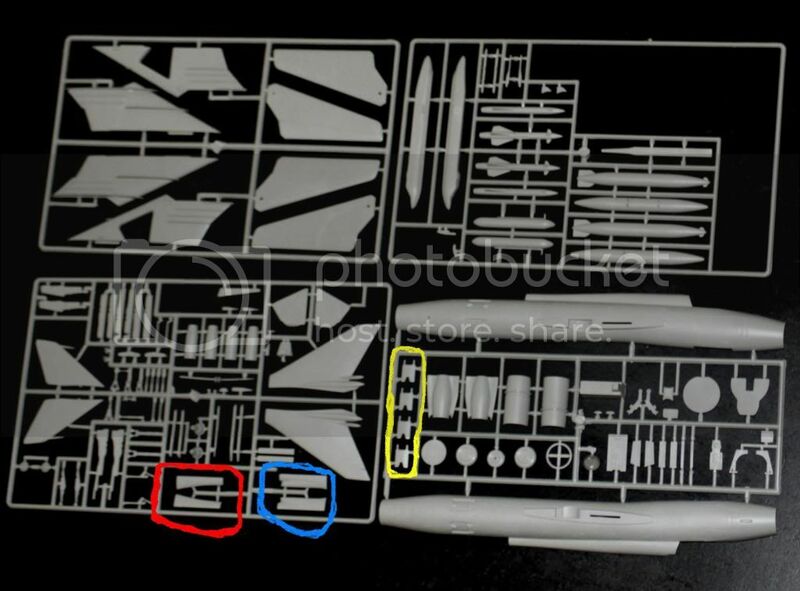 The parts that are circled in red form the base of the tail of the "Su-22M3" and the alternative parts for the "Su-22M4" are circled in blue. Circled in yellow are the airbrake parts. 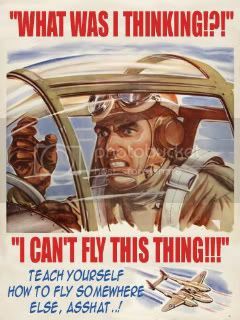 Yes, this attack plane has something in common with the Monogram A-10...it's not easy to close the airbrakes! The parts that I've circled in yellow do not fit into the closed position on the fuselage. I'm going to fill the airbrake wells with putty and sand them smooth. Here's some work done on the Sukhoi. the closed airbrakes. They should look OK under some paint. much of the outer wing I can cut off. I want to build it with the wings swept back, if I don't chop off some of the outer wing, I will not be able close the inner wings. I'm glad I found those pictures on Airliners.net. That let me find out that my subject has a black cone inside the intake, instead of the usual dark green. There is also some kind of RWR receiver under the nose which I'll scratchbuild. 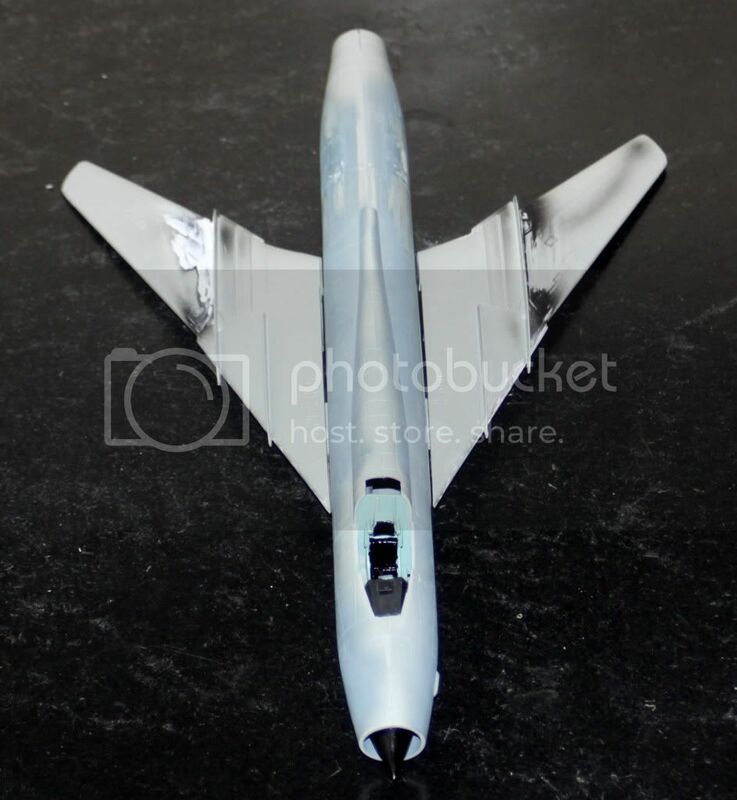 The fuselage halves have been glued together and the wings are fixed in the swept back position. I'm enjoying this build and I'll be building the second one as a Soviet Fitter from Afghanistan. On that one, I can attach the flare trays along the spine. I' think I'll build it with 3 rocket pods, 2 fuel tanks and an SPS ECM pod. When I get an Eduard Mig-21, I can rob some self defence AAM's from that one. Nice work so far! I've got the eduard offering of hte Su-17/22. Plan to do it in Hugarian markings! Finally got the goods from Lucky, so I'll be joining your build soon! Funny! I had the same thoughts when I saw the weapon choices in the kit! "Eww! 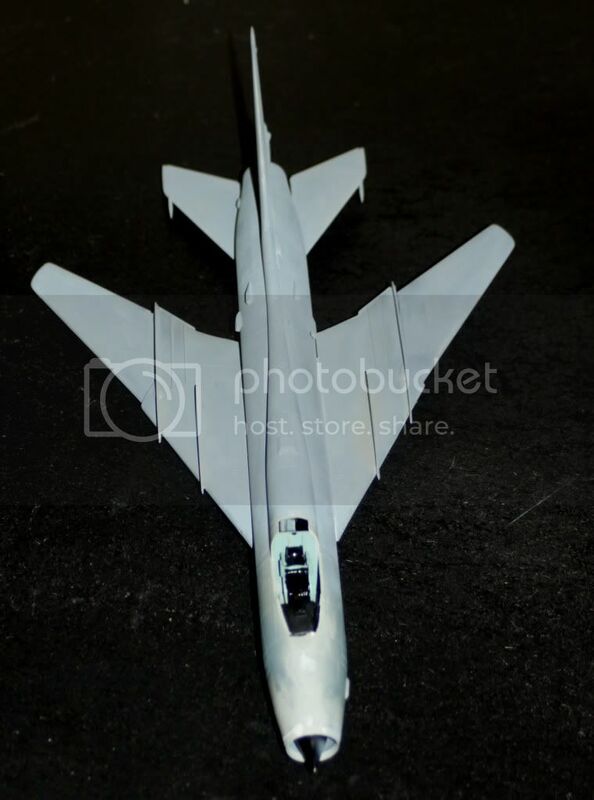 Those'll fit my SU-22!" Looking at the picture of this particular Peruvian Fitter on Airliners, I noticed there is some contraption at the base of the vertical tail (probably for defensive measures). I scratchbuilt something like it. The real thing seems to have some kind of openings, on my model I guess they sometimes attach a protective plate over it. I've circled the scratchbuilt contraption in red, so you don't confuse it with the scoops. The wings and the tail have been attached. I love the OEZ/KoPro kit (I have three in the stash, including the new Eduard release), but man, it can be a rough customer to deal with! I'm looking forward to watching you finish yours! Well under way, Sir! My Kopro M3 boxing doesn't have the M4 tail bits, but the speedbrakes seem to fit OK...swings & roundabouts I guess. About the worst I can say about this kit is that NONE of the panel lines jive up when you join the fuselage. Hours of 'modelling fun' ahead! I was gonna say the same thing about the speedbrakes on the one I just built... they fit "reasonably" well on mine... I wonder if you got a short-shot kit? I kind of stopped when the hardest part was done. I had thought of continuing around New Year when Matt's passing was one year ago. Maybe I'll get on with it soon. I don't think my speedbrakes were short shot, I'm just a bit more used to Hasegawa kits. Stefan, you *really* need to finish this kit! I have a few that I really need to finish. I'm at the start of a long week-end (21st of July is our national holiday) and I intend to get some modeling done. I wonder what my Fitter will look like on tuesday morning US time. While the model was in limbo, I managed to shoot this useful picture of a Polish Fitter. Compared with Manoloas's picture of the Peruvian Fitter, you can see that the Peruvians have one pair less of pylons installed. The M4s have one more pylon than the M1/M3s did. I believe it's strictly for A2A ordnance though. I've glued the pylons to the aircraft. It wasn't easy. Maybe I did something wrong, but next time I won't bother drilling out the holes in the lower wing for the inner pylons...I had to cut off the pins from the pylons and just glued them on. I was looking at some pictures of Peruvian fitters in order to choose the paints and check out some details. It struck me that I cannot see the fin that should be on the underside of the rear fuselage (kit part 95) on any Peruvian Fitter. It seems far-fetched that they would have removed that fin just in Peruvian service, but I just can't find them in the pictures. Thats because the Peruvian jets are Su-22Ms (sans suffix), which didn't have the ventral fin. 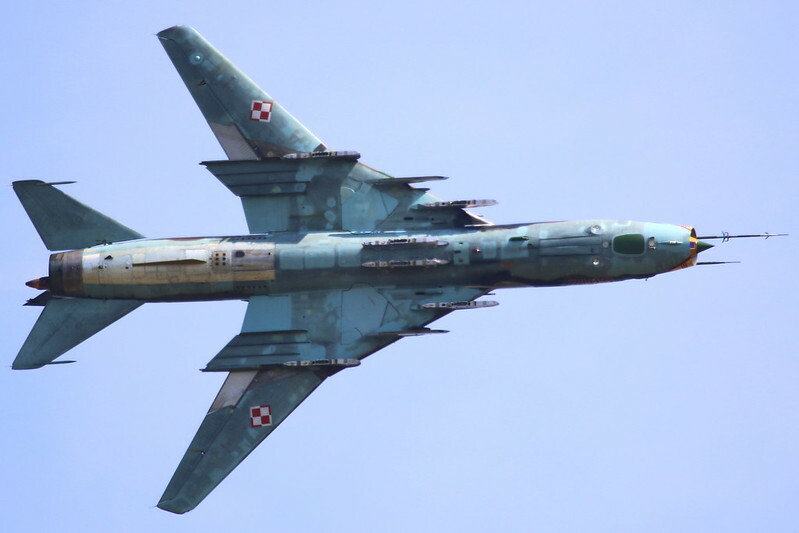 Su-22Ms were sold to non-warsaw pact countries, where as the Su-22M3 (which had the ventral fin, was capable of carrying a more advanced catalog of A2G ordnance, and was otherwise externally identical) were sold to WP-allies. 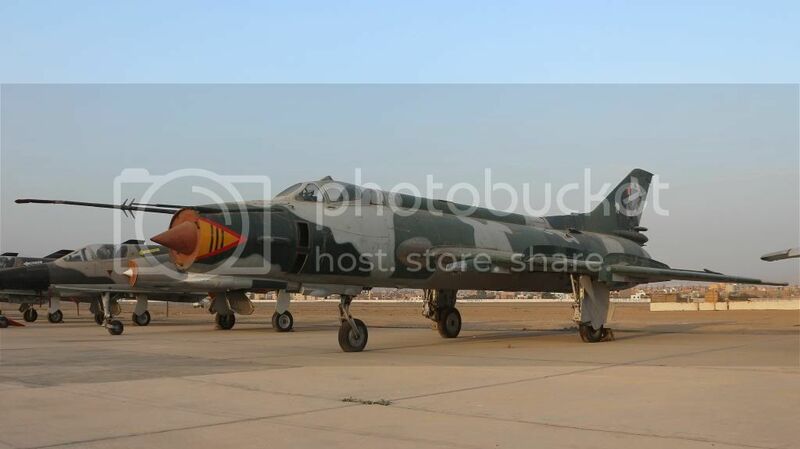 Libya procured a number of late model Ms as replacements over the years and flies a mixed fleet (fin and no fin)... Peru's jets were all early Su-22Ms, no fin.